The Draw has been published and the result of the first match is in with Bramshaw (75) defeating South Winchester (70). Click here to see who is playing who. Southsea defeated Worldham in a preliminary round match and Lee-on-the-Solent defeated North Hants in Round 1. Southsea now play the winner of the Romsey v Sandford Springs tie. Stoneham beat South Winchester to progress through to the First Round where they will meet Oak Park, who defeated Skylark. Paultons defeated Petersfield and now await the winner of Boundary Lakes and Cams Hall tie. Click here to see the revised Draw. Congratulations to Rowlands Castle GC. They beat Royal Jersey in the Final played at Barton-on-Sea GC on Sunday 23rd September. Record sixth win for Rowlands Castle Golf Club, see report and pics from FINALS DAY. Click here to see the Group Draw. Southampton will take on Ryde and Royal Guernsey will play Army in the semi-finals of the County Sevens at Bramshaw (Manor Course) on Sunday 22nd October. Ryde booked its place with a 5-2 home win over Cams Hall, Royal Guernsey beat Corhampton 4-3, Army beat Barton-on-Sea 6-1 and Southampton beat Basingstoke. Please click here to see the up-to-date Draw for this year's competition (as of Monday 4th September). 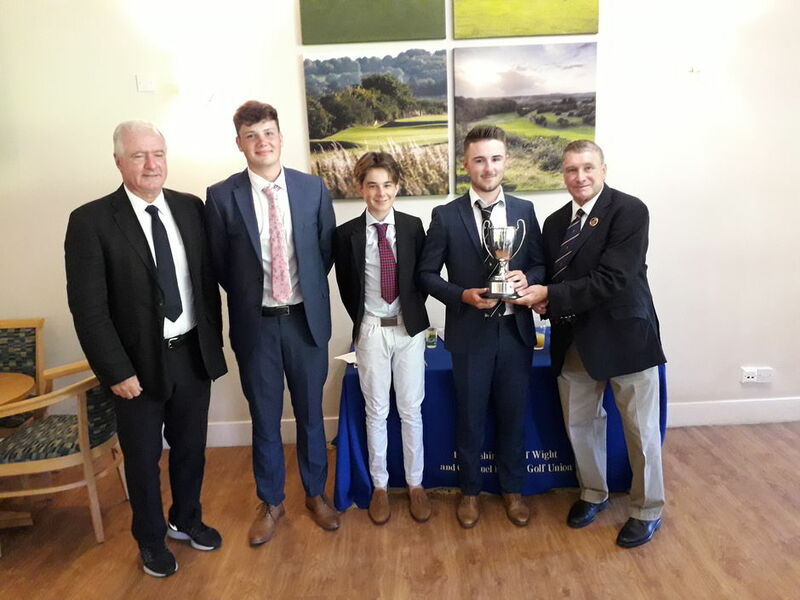 Winning Blackmoor Team: David Telfer (Manager), Alex Tupper, Jamie Rodger, Lawrence Valente and John Moore (President, Hampshire Golf). Group Winners...Dummer GC, South Winchester GC, Hayling GC and Blackmoor GC. 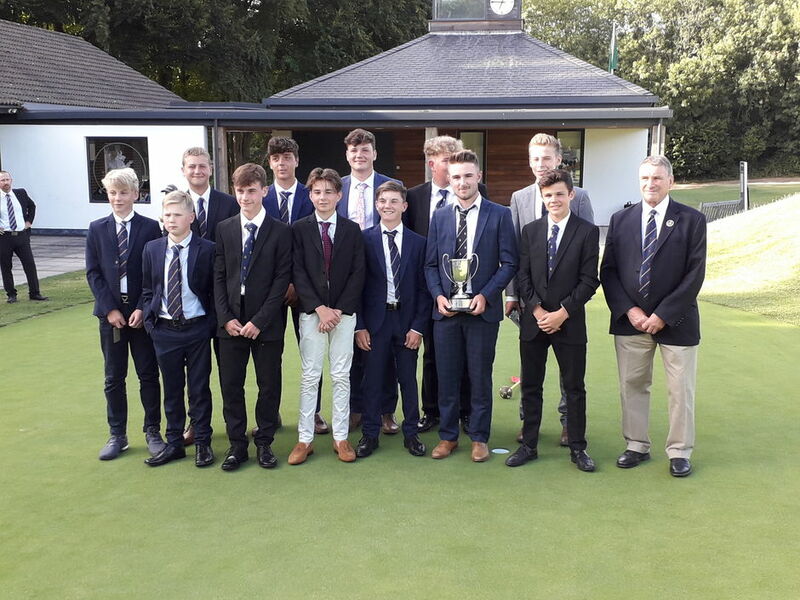 Congratulations to Blackmoor Golf Club, who won the Green Jackets Cup for the first time. They defeated Dummer in the Final, played at Hockley on 31st July. Click here for Finals Day scores. Congratulations to Romsey Golf Club, 2017 Green Jackets Champions.  Romsey now go forward to England Golf Junior Champion Club Tournament at Woodhall Spa on 14th and 15th August. Click here to see scores for Semi-final and Final. Photos on the Hampshire Golf Facebook Page. Click here to see the completed Draw. 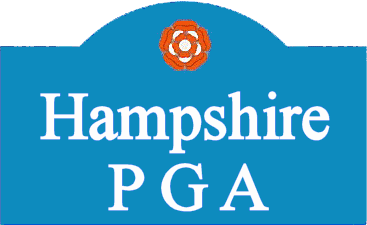 Click here for list of Junior Organisers at Hampshire Golf Clubs. Congratulations to Oak Park Golf Club, 2016 Fullers County Sevens Champions. Photo shows the winning Oak Park team at Stoneham Golf Club. Click here to see the Draw. 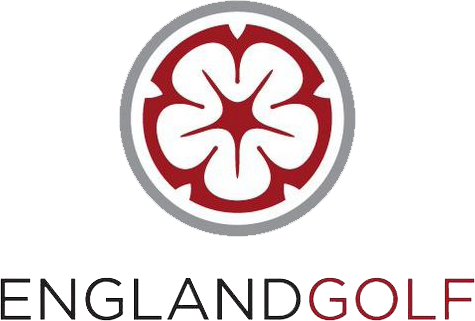 Click here for list of Team Contacts. Congratulations to OLD THORNS for successfully retaining their FULLERS COUNTY SEVENS title at Meon Valley on Sunday 18th October. Old Thorns beat La Grande Mare in the Final. Fullers has kindly agree to continue their sponsorship of the COUNTY SEVENS in 2016. See the full result of the 2015 competition below. 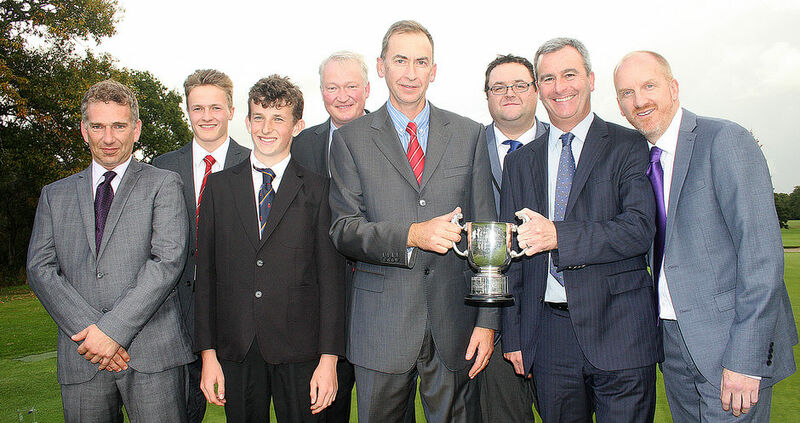 Congratuations to Bramshaw Golf Club on winning the Green Jackets Cup for the first time. They defeated La Moye in a very close final at Hockley. Bramshaw now go forward to represent Hampshire Golf in the EG Junior Champion Club event at Frilford Heath on 11th & 12th August. The format of the Green Jackets was changed for 2016 to encourage more Golf Clubs to take part. It is now a mixed event, played off handicap as an aggregate stableford. The changes to the format saw a 20% increase in entries and it is hoped that more Clubs will enter in 2017. * Three in a Team, boys and girls. 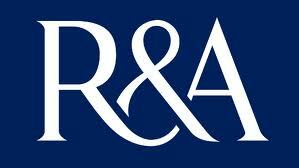 * Each match played as an aggregate stableford off full handicap, all three scores to count. Entry forms for 2017 will be available here in November. Congratulations to SHANKLIN & SANDOWN GOLF CLUB. They beat Barton-on-Sea GC in the final of the Green Jackets at Hockley on Tuesday 28th July. CLICK HERE TO SEE THE FINAL DRAW.